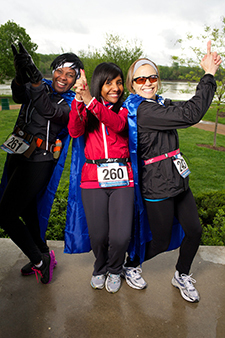 Join Bridgeway Behavioral Health and The Sparrow’s Nest Maternity Home as they host the 5th Annual RUSH 5K: A Run Uniting SuperHeroes! 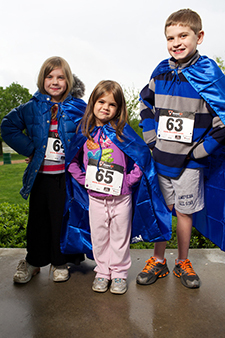 This superhero-themed, super fun, family friendly out-and-back race will take place, rain or shine, on the flat and fast Katy Trail on Saturday, May 2, 2015 starting at 9 a.m. in Frontier Park. Fleet Feet will professionally time runners and walkers in the 5K. Post race party to follow includes bounce house for ages 12 and under (weather permitting), DJ with family friendly music, face painting, and other family activities. This race is a celebration! We want to recognize the everyday superheroes all around us. 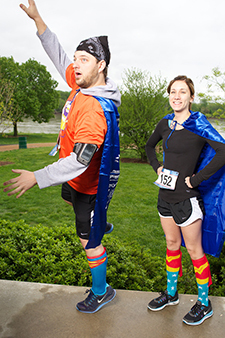 And when you register for the RUSH Superhero 5K, you can be a hero, too. Proceeds from the race go to help women in our area with overwhelmingly difficult situations in their lives. So join us! Be sure to wear your favorite superhero costume and get ready to have a great time! Join us for this flat and fast, out-and-back run/walk on the Katy Trail, a rails-to-trails gravel path. Start is located near the intersection of S. Riverside Dr and First Capitol Dr. Dual water station near mile 1 and 2 with water and sports drink. 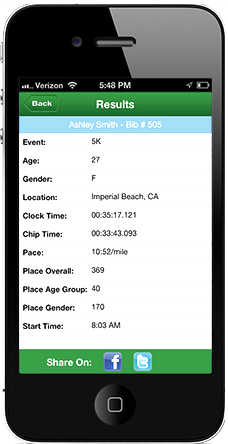 Register online, at packet pick-up or on-site on race day. Online registration closes April 29th. The 1 mile fun run is for kids 12 years and under. Awards will be given to the top 3 male and female finishers overall and in each age group: 14 & under, 15-19, 20s, 30s, 40s, 50s and 60s-over. 1 Mile Kid's Run: top 3 overall male and female finishers (12 & under). Participation ribbons will be awarded to all kids. 5K registrants will receive a t-shirt. T-shirt guaranteed for first 350 registrants. T-shirt size guaranteed if registered by 4/1/2015. All will receive a goody bag and post race snacks with their registration fee. Family-friendly superhero costumes are welcome and encouraged! We will conduct 6 one hour training sessions meeting in the Parking lot of the Lewis and Clark Boat House and Nature Center (near the Katy Trail off Boone’s Lick Drive at Frontier Park) starting at the end of March through April. We will do some light stretching and warm ups before hitting the trail for a short training walk/jog/run. We will use the group as an accountability group and a way of slowly increasing our mileage by ½ mile each week prior to the full 5k event on May 2. Training will begin on Tuesday, March 24 at 6:00 p.m. and will wrap up by 7:00 p.m. Any questions? Learn more about this group here. Proceeds from the RUSH 5K benefit The Sparrow's Nest Maternity Home and Bridgeway Behavioral Health. The mission of THE SPARROW’S NEST MATERNITY HOME is to provide a CHRIST centered shelter and to educate homeless, pregnant and parenting YOUNG WOMEN by providing a wide range of SERVICES that empower them to make positive and healthy LIFE decisions for themselves and their BABIES. Our portion of your race registration will go directly toward providing long-term housing and other services to teenage moms, 19 and younger, and their children. Bridgeway Behavioral Health operates 2 emergency domestic violence shelters in St. Charles County and Lincoln County, providing our residents with safe housing, counseling and life planning skills. We work with the women and children in our shelter to help them rebuild their lives in a safe and healthy direction.